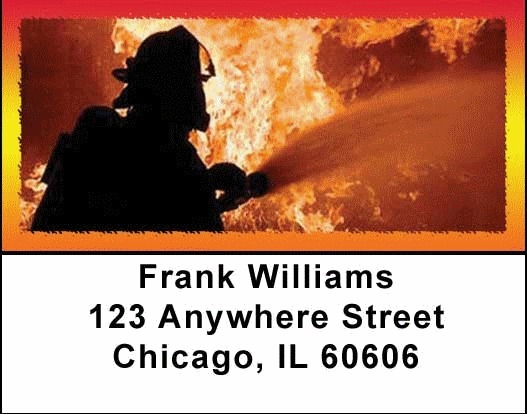 "Firefighters Address Labels" product is already in your cart. Honor America's Fire Fighters with these checks showing the heroic men and women fighting to save our homes from the ravages that fire can cause. International Fire Fighter's Day is observed on May 4th; it was instituted after the tragic deaths of 5 firefighters who died fighting wildfires in Australia. Fire Fighters Address labels are self adhesive. Matching checks are also available.